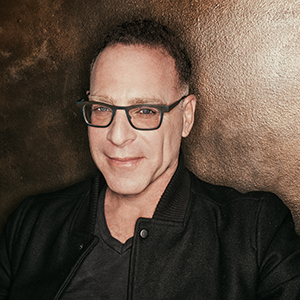 Steve Schnur has been a label and music publishing company President, TV executive producer, music supervisor, professional musician, songwriter, composer, record producer and more. Along the way, he has moved the needle and changed the game in the fields of music, movies, television, sports, video games and digital interactive entertainment around the world. He has been profiled by the New York Times, London Financial Times and CNN, named ‘One of the Most Creative People in Entertainment’ by Entertainment Weekly, ‘One of the Most Powerful People in the Music Business’ and ‘One of the Top 20 Power Players in the Digital Entertainment’ by Billboard, and ‘One of the Top 25 Power Players in the New Hollywood’ by The Wall Street Journal. Schnur’s awards include MUSEXPO’s 2009 International Music Person of the Year, the ACLU’s 2009 Bill of Rights Award, The Guild of Music Supervisors’ 2012 Music Supervisor of the Year, and MUSEXPO’s 2014 International Music Supervisor of the Year. Additionally, in 2005, he was honored by The Lili Claire Foundation. He was recently featured on ESPN.com in an article, titled EA Execs are music tastemakers (Jan. 2015). In December 2015, he was featured in Variety’s ‘Music City Impact Report’ as one of the most influential executives of Nashville’s current creative boom. Born in suburban New Jersey, Schnur began to study guitar, piano, composition, production and arrangement at Carnegie Hall at age 7. By his early teens, he was playing in pop, rock and jazz bands with seasoned musicians. While attending New York University’s School Of Music Business & Technology, a chance conversation with MTV co-founder Les Garland on Schnur’s first morning as a research intern led to an invitation to join the fledgling network programming department that same afternoon. Shortly after, he was offered a full-time position with the team and became instrumental in the groundbreaking video debuts of Madonna, Michael Jackson, The Cure, Mötley Crüe, and more. Schnur went on to hold various executive positions in promotion, marketing and A&R with Elektra Records, Chrysalis Records, Arista Records, Arista Nashville, Arista Austin and Capitol Records, helping to orchestrate the breakthroughs of many major artists, which included Metallica, Sarah McLachlan, Coldplay, Björk, Brad Paisley and more. He also served as music supervisor for hit movies ‘Cruel Intentions’ and ‘Miss Congeniality,’ which received a Golden Globe nomination for Best Original Song, and others. In 2001, Schnur joined Electronic Arts, the global leader in video game software and streaming content. As Worldwide Executive of EA Music Group, his role is to pursue, create and continuously develop the international vision for music in game franchises such as Madden NFL, FIFA and Need For Speed, via which he has been responsible for internationally launching artists. Some of those artists have included Thirty Seconds to Mars, Robyn, Fallout Boy, K’naan, Katy Perry, Imagine Dragons, Kings of Leon, The Weeknd and Florence + The Machine. His hands-on approach to composer selection, orchestration and production of well over 100 EA soundtrack albums – including original scores for The Sims, Mass Effect, Dragon Age, Medal of Honor and Star Wars: Battlefront with composers that have included Mark Mothersbaugh, Michael Giacchino, Junkie XL, Steve Jablonsky and Hans Zimmer – has earned EA over 50 soundtrack nominations over the last 10 years. And with the formation of Artwerk Music and Music Publishing Group, Schnur directly signed, developed and launched artists – including alternative breakthroughs acts Matt & Kim, Chromeo, Airbourne and Ladytron – for publishing, master recordings, sync deals and distribution. In 2011, he produced the No. 1 Billboard hit “Dance On” and the Top 5 hit, “Undivided” featuring Snoop Dogg. In 2012, he was Creator and Executive Producer of the E! Network television series “Opening Act,” which starred Lady Gaga, Rod Stewart, Nicki Minaj, Gym Class Heroes, LMFAO and Jason Aldean. In 2015, Schnur signed to an exclusive worldwide songwriter agreement with Sea Gayle Music, home to writers Brad Paisley and Brandy Clark. Schnur is currently a Governor on the NARAS Nashville Chapter Board of Directors. Additionally, he serves on the City of Hope board and Belmont University’s Mike Curb College of Entertainment & Music board, where he also acts as an adjunct professor. He is a former board member of the Country Music Association; a voting member of the Grammy’s Producers & Engineers Wing; advisor to the Nashville and Tribeca Film Festivals; Music Advisor to Major League Soccer as well as the U.S. National Men’s and Women’s soccer teams; and has served as both Chairman and Chairman Emeritus of The Grammy Foundation.